Take the stress out of property damage repairs in East Hartford! Sante Property Damage Reconstruction is fully licensed and insured. Putting our clients first, we make your property damage project our priority. From top to bottom and start to finish, we will be on your side. Working with your insurance company, we keep costs and stress low. Are you in a disaster emergency? We can help now. Our services are available 24/7 to the community. Storm and water damage, fire reconstruction, and mold elimination are just a few of our specialties. Serving residential and commercial structures, we can handle large or small property damage repairs. Sante has invested in our equipment, tools, and team. Equipped with the latest trainings, our disaster repair technicians are knowledgeable and friendly. Call us today to find out what a difference professional property damage reconstruction makes. Geared towards our clients, our disaster damage reconstruction is personalized to you. Have you experienced fire damage? Water and storm damage? We are top rated for our property damage repairs. Fast and friendly, our customer service keeps communication open and costs down. Insured and trained, our licensed disaster technicians are professionals. We invest in your damage reconstruction project. Often, these issues go hand in hand. Fire damage includes emergency water damage and storms lead to mold growth. At Sante, we care about the East Hartford community. Give us a call today to explore how our fire damage, water damage repairs, and mold elimination services can help you. After a house fire or commercial fire, you may be overwhelmed. Fire damage repairs are extensive and complicated. Emergency water resources may have added water damage to your home or business. Our teams know how to halt the spread of soot and smoke, moisture, and secure your structure. 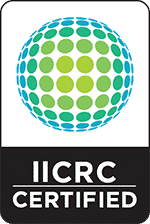 Working with your insurance company, our professional fire damage reconstruction can turn crisis into an opportunity. We will work to salvage heirlooms and precious items. Business equipment may have been damaged. We will explore every options for our fire damage repair clients! Once you have been through flooding, you understand how devastating water damage can be. Whether from natural bodies of water or plumbing, the impact on homes and businesses is huge. Our water damage reconstruction in East Hartford is a comprehensive solution. From start to finish, we completely reconstruct properties to their original condition and better. Eliminating moisture, we reduce the risk of mold growth and odor. Our specialized equipment sanitizes water damage. Put your trust in Sante Property Damage Reconstruction for complete water damage elimination. If you have a mold growth problem, you need professional mold damage repair. Mold requires skill and knowledge. Our mold repair technicians find the source of moisture and humidity to eliminate mold now. A lasting solution, our mold reconstruction stops it from returning. If done improperly, mold repairs can actually make the problem worse. While working, Sante contains the area to stop spores from spreading and impacting air quality. Whether you have a home with mold or a business, our professional mold repair services can handle the job. Call us today for a free estimate! Severe weather, no matter how much preparation, can lead to storm damaged properties. Our expert storm damage property reconstruction is available immediately. Licensed and insured, we handle ice dams, high wind damage, flooding, and more. From top to bottom, we will provide complete storm damage reconstruction. Offering free estimates, Sante will begin by securing your property with board up options to prevent vandalism. If you are in an emergency, our storm damage repair teams can be to you fast. We offer 24 hour, seven day a week disaster service to the East Hartford area. Don’t hesitate to call our friendly customer service for a quick and quality response. At Sante, we mean business! Our commercial disaster repairs include fire, storm, mold, and water damage. We offer our clients solutions that work. We will get your business back on its feet fast with quality workmanship. Whether you have a small business or a large industrial complex, Sante will make you our priority. Our employees are licensed and insured for your peace of mind. Invested in our equipment, we are ready to provide commercial reconstruction immediately. Free estimates are always available or our commercial disaster repair customers! Our general contractor services are top rated for craftsmanship and speed! If you need a general contractor in East Hartford, you have come to the right place. Covering the labor, materials, and equipment, we are a comprehensive general contracting solution. Large or small, we have handled homes, factories, office complexes, and housing communities. Clients return to us again and again. No matter what your general contracting needs, we can make it simple. Sante Property Reconstruction offers 24/7 service to the Connecticut community. Honest, reliable, and licensed, our general contractor options are available now! 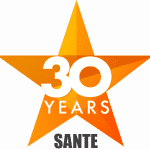 Sante Property Reconstruction has over 30 years of experience serving East Hartford. Our property damage repairs are top rated for craftsmanship and friendly service. We handle fire damage, storm and water damage, and mold elimination. Need a general contractor? We do that, too. Our disaster reconstruction services are available 24 hours a day, seven days a week. Don’t hesitate to call us now for professional property damage reconstruction. Does your East Hartford Home or Business have Damage?